Canadian children’s animation prodco Nelvana and Japan’s Sumitomo Corporation are developing a hybrid 2D/3D series based on car brand Bandai Spirits for the Japanese market. 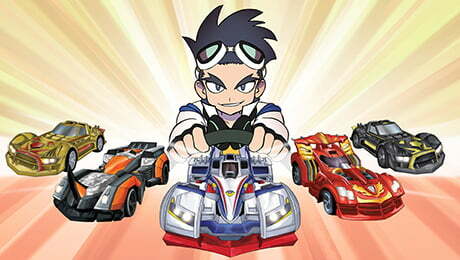 Geki Drive (52×11’), which means ‘extreme racing,’ is an action-adventure cartoon that tells the story of the Pod Squad, a team of young racers that takes the Geki circuit by storm. The series is being overseen by anime expert Shigeki Fujiwara (Beyblade, B-daman), head writer Al Schwartz (Paw Patrol, Max Steel) and director Mike McDougal (Mysticons), while former Cartoon Network president Stuart Snyder is attached as an advisor. Geki Drive is the first production to be announced from Corus Entertainment-owned Nelvana, Sumitomo and Snyder’s multi-year deal to co-develop animated projects with international appeal.